Bringing together style and ease of use. 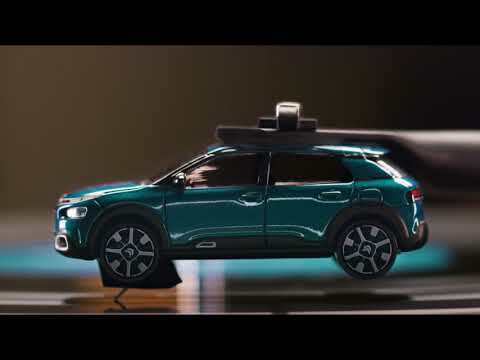 The new Citroën C4 Cactus crossover meets the demand for constant efficiency with its optimistic and pure design. The Citroën C4 Cactus showcases that comfort is the new cool with Progressive Hydraulic Cushions™ (PHC) Suspension and Advanced Comfort Seats. Business Contract Hire on Citroën C4 Cactus PureTech 110 S&S 6-speed manual Flair. For qualifying vehicles ordered between 1st April 2019 and 30th June 2019. Prices are exclusive of VAT. Representative example is based upon an annual mileage of 10,000 miles.Finance subject to status, guarantees may be required. Excess mileage charges will apply if you exceed the agreed annual mileage. In this example the excess charge of 3.75+ VAT ppm applies.Written quotations available on request from PSA Finance UK Ltd, RH1 1QA. Finance provided by PSA Finance UK Ltd t/a Free2Move Lease, RH1 1QA. PSA Finance UK Ltd t/a Free2Move Lease is authorised and regulated by the Financial Conduct Authority. All rentals are subject to VAT at 20%. Donnelly Bros Bangor Ltd and Donnelly Bros Garages (Dungannon) Ltd are acting as credit brokers, not lenders. We may receive payment for introducing you to finance lenders. Payment of the final rental does not transfer ownership of the vehicle.